Ross Dellenger with Sports Illustrated is reporting that LSU basketball head coach Will Wade and school officials will meet this Friday, April 12 for the first time since he was suspended on March 8. BATON ROUGE, La. — The standoff is nearing an end. 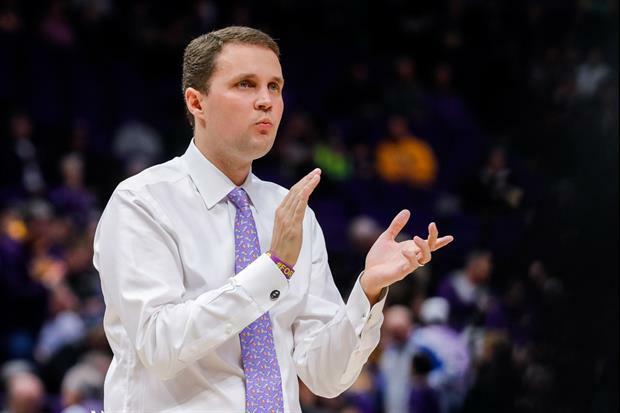 Suspended basketball coach Will Wade is scheduled to meet with LSU and NCAA officials on Friday, agreeing to speak after more than a month of silence. The school confirmed the news Thursday when Sports Illustrated requested a comment on the impending meeting. It ends a 34-day stalemate between the two sides and begins what could be a long-winding process to reinstatement. The meeting is only an initial step in an investigation into a wiretapped phone conversation between the coach and a recruiting middleman revealed last month in a Yahoo! Sports story. School officials placed the coach on indefinite suspension March 8 for declining to speak with them on the matter. Read more. He’s got Chest!!!! I hope we keep him. So this is a meeting with the NCAA involved. About a rumor of a possible illegal action with Smart. Smart has been cleared by the NCAA so WTF? If they decided Smart was not involved in any financial wrongdoing with Will Wade, how can WW be involved in financial wrongdoing with Smart? Will MF Wade needs to go in there throwing blows! Maybe, but maybe not. For all we know he may need to go in there hat in head asking for forgiveness. It’s not uncommon to wait until tournaments/national championships/playoffs/etc are over to talk. CBS doesn’t want to share the spotlight. I hope Yahoo Sports doesn't post another article about Wade before tomorrows meeting.... Alleva would get scared and cancel it. I hate that I have a Yahoo email. I think that is why they floated the fact that a meeting is occurring to see if Yahoo has anything left. Assuming nothing new, the result of the meeting has been predetermined. Alleva will stupidly fire him. Wade is meeting with Alleva to give him his walking papers, by NCAA direction. Wade is going to give Alleva his walking papers? Sweet!